Carnival Cruise Line has today announced the successful implementation of high-speed internet capabilities across half of its global fleet – with the rest of its ships scheduled to receive enhanced at-sea internet by spring 2016. The faster, more affordable internet is now available on thirteen of the cruise lines twenty-four ships – offering passengers seamless internet access no matter where they are in the world. Guests can choose from a variety of affordable package deals to help budgeting for internet access easier, whilst the service also features the line’s new mobile app, which is reportedly been a big hit with cruise passengers aboard Carnival Breeze – the first Carnival Cruise Line vessel to benefit from mobile app access. As well as allowing guests to make reservations in the ship’s dining areas, Carnival’s clever app also features “Chat” functionality. According to Carnival, this social feature has been very well received by passengers, with a third of the ship’s guests actively using the app during the cruise. Carnival Cruise Line are the first cruise line to implement faster internet on a fleet-wide basis. 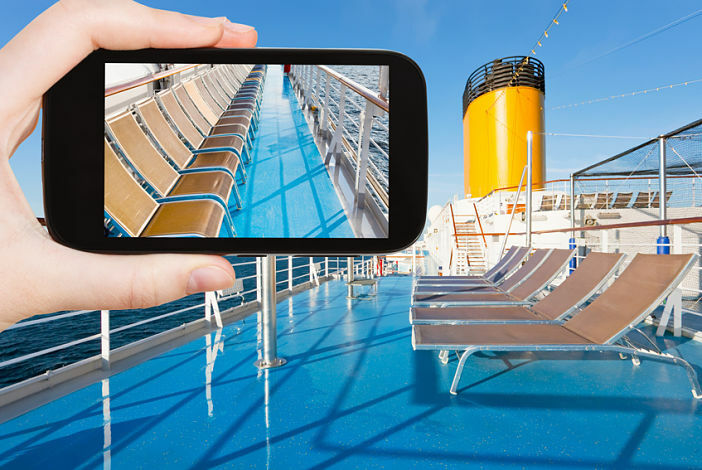 To improve internet access for guests, the cruise line massively increase its bandwidth allocation so that passengers can enjoy fast, reliable internet access whether relaxing in their cabin or surfing the web on a sun lounger. With daily internet packages available from as little as US$5 per day, Carnival’s enhanced internet access is proving a big hit with younger cruisers, as well as older passengers interested in keeping in touch with those back home. Book with Carnival Cruises Today! Image sourced via Carnival Cruises PR. Credits: Carnival Cruises.